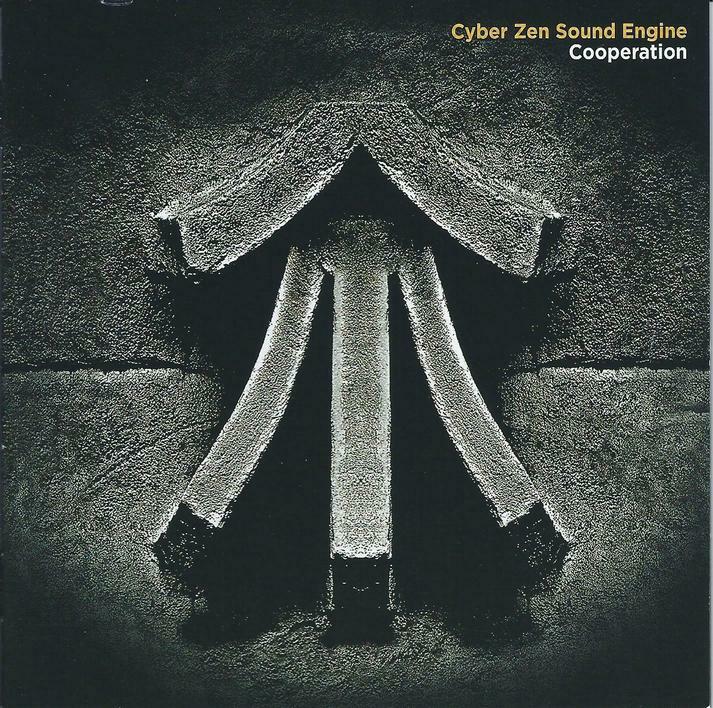 Cooperation is the 4th album to date by Cyber Zen Sound Engine, and not having heard any of their other albums, I will jump straight in and be as honest as I can be. The album has 16 instrumental pieces, all of which last under 5 minutes, and all flow in a style that plays more with piano and clean guitar reverberated spaces than it does with the freak out synthesizer soundscapes that so often frequent my reviews. The music visualises a middle of the road melancholia. The clean guitars and the hollow drones haunt the ears with soft emotion. The subtle sound canvases foretell a place of neither darkness nor light, aligning rather with the bland grey matter, the place in between that conforms to the laws, instead of stretching the limits of the imagination. Therefore I feel that the tracks come and go; too short to express fully what they so desire to tell. Each piece of music seems to stand alone. Glimpses of subtle Pink Floyd can be heard amongst the guitar pieces, as well as within the piano conjurations. Other pieces break the tempo and vary the mood by use of ethnic percussive elements that become the main rhythmical structure to the compositions when introduced, whereas the Pink Floyd moments were more prominently organic in organ/guitar/piano, void of all such percussion, and also void of the former ethnic flavour, which was nice! I mention the word hollow in respect to the sounds used, they are too thin for me, as the word is in such realms, and this I find is my main concern. It is not bad musically at all, and I do not state it as such; I just find that, when doing such works as these, a good fat earthy synthesizer is more to my association, and an in depth exploration of one track may take 20 minutes to fully unfold… because as a listener I thrive to find affinity with the soul of the music, the earthy based hypnotism that engulfs the void of mind, projecting, with or without aid of substance, the sub-conscious to the nether regions, of which I am more akin… but it is not to be sadly, and this grieves my heart full sore.